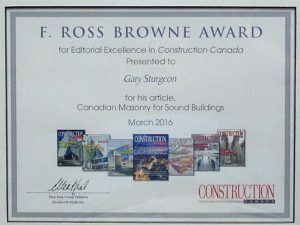 The article covers the impact of sound and how the use of masonry can mitigate noise. Urban environments are inherently noisy and are likely to become more so. Cities and living spaces are becoming more densely populated as increasing numbers of people look to converted living spaces, and to apartments and condos. Effective sound control between spaces has become a critical aspect of urban quality of life, human comfort, and health. While noise can be controlled at its source, this is usually a very complicated undertaking. The most effective solution in building construction is by sound insulation—that is, by reducing noise along its paths from its source to the listener by blocking, breaking, or absorbing the sound.